Innovation Comic book issue #7 June 1992. 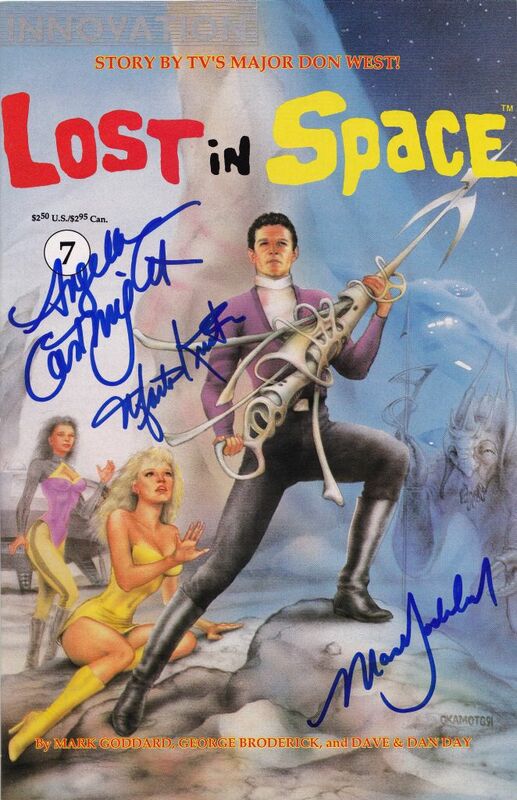 Front cover signed by the original actors of Lost in Space. Shown are., Angela Cartwright, Marta Kristen, and Mark Goddard.